Cloud services and WebRTC are changing the contact center industry. Callstats.io is the only quality monitoring and analytics tool for WebRTC-based call centers. Quality monitoring helps test, detect, and fix call quality issues, which leads to a successful customer experience. We support all major vendors and libraries that are commonly used in contact centers. For example, we have integrations with Pexip, SIP.js, and JsSIP. See the full list of integrations for more details. The plan for contact centers comes with unlimited minutes per agent and is based on your number of monthly active contact center agents. Pay per usage, no extra charges. The contact center is moving to the cloud thanks to the efforts of Amazon Connect, Twilio, Pexip, Voxbone, Plivo, Cisco tropo, etc. 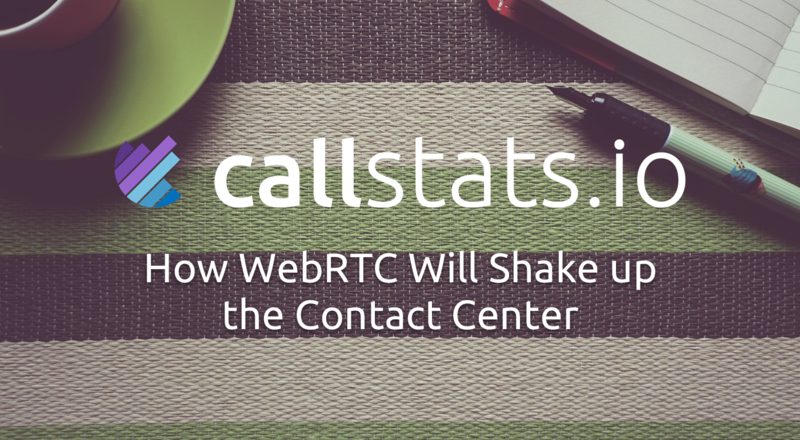 Read how WebRTC will affect the evolution of cloud contact centers. Go to the article.